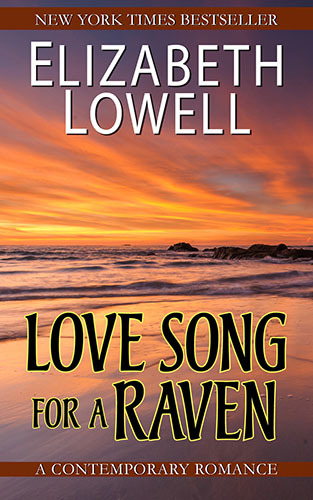 Available for the first time in ebook format, a classic Elizabeth Lowell romance. Caught in a storm in the Queen Charlotte islands, Janna fights her way to shore in her tiny rowboat. Exhaustion sets in as a strong swell capsizes the boat. She is sucked under by the ocean. But she is not alone out on the water. A man dives deep and pulls her above the waves. On his boat, Raven warms the deadly chill from her with his own body heat. And he desires her as he has never desired another woman. She returns the feeling, but he believes it is only gratitude Janna feels. What Raven wants is love.